Announced in June, Chinese commercial property and entertainment conglomerate Dalian Wanda Group made a significant investment in British yacht builder Sunseeker International. 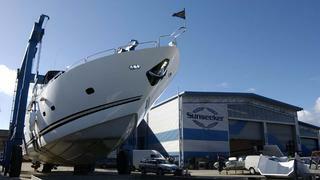 Today, the Wanda Group officially announced the completion of its acquisition of Sunseeker. The Chinese group's total investment value is £320 million, with Wanda holding a 91.81 per cent majority stake while the remaining 8.19 per cent is held by Sunseeker management.